Often times, the best comedy comes from the underdog. It’s one of the main reasons more politically conservative comedy shows — like Fox News’ very short-lived The 1/2 Hour News Hour — fail miserably. It’s hard to argue for the status quo and still be funny. Besides, with the Trump Administration’s constant attacks on the LGBTQ community, queer Americans are increasingly finding themselves as the underdog. In these scary times, we all could use a good laugh. 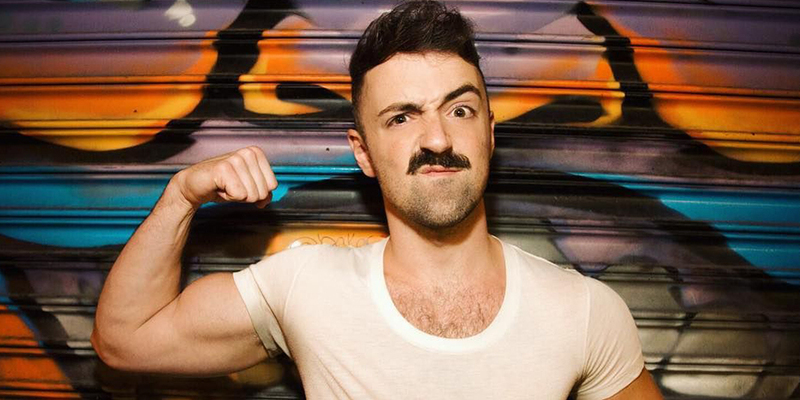 So why not get that laugh from some of our fave gay comedians? And be sure to let us know which clips left you howling. 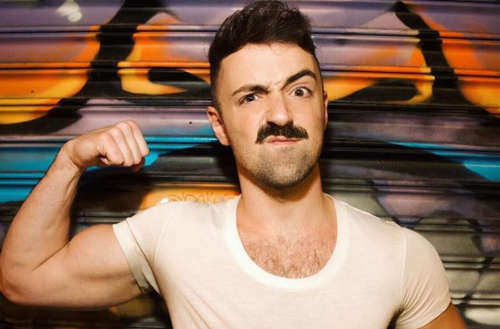 Here are some of our all-time favorite gay comedians. James Adomian’s been making his name in comedy for a long time now. Many folks were introduced to him as a Top 10 finalist in Last Comic Standing — but you may have seen him more recently on @midnight or as Bernie Sanders in the Trump vs. Bernie TV specials. As you might guess from that last credit, Adomian’s a gifted impressionist. Some of our favorites include his take on Jesse Ventura, Paul Giamatti and his absolutely brilliant turn as radio shock jock Tom Leykis. Based out of San Francisco, the mononymous Sampson is not just a comedian, but a writer and activist. Raised in North Carolina, Sampson faced a lot of bigotry growing up being both black and gay, and he’s turned his experiences into hilarious stories puncturing the prejudice of small-minded twerps. Guy Branum is absolutely hilarious. You probably know that if you’ve seen him on @midnight, Chelsea Lately or Totally Biased with W. Kamau Bell. A writer and contributor to many shows — including his newest, TruTV’s Talk Show: The Game Show — he’s also been a contributor to Huffington Post, and an early column for the Daily Californian earned him a visit from the Secret Service for joking that Berkeley students should murder then-Stanford Freshman Chelsea Clinton. After conquering the United Kingdom, London-born Gina Yashere has finally started to make a name for herself in the States. In the US, you may have seen her as the Senior British Correspondent on The Daily Show, from her appearances on @midnight or her newest Seeso special, Ticking Boxes. Her dry, sardonic wit is what we love most about her, and we couldn’t be happier she’s now on this side of the Atlantic. If Matteo Lane weren’t a comedian, he’d probably still be a big name, just in the world of music. Lane’s got a great voice — and he incorporates his amazing singing into his act. No wonder his current show is Matteo Lane: Streisand at the Bon Soir, where he mixes comedy with a note-perfect rendition of Streisand’s famous 1960 concert album. But thankfully, his comedy is as great as his voice — you might even miss the beginnings of some songs from laughing too hard. If you’re unfamiliar with her work — you could do worse than picking up Live, but you might also want to check out her Amazon series One Mississippi, or her specials Boyish Girl Interrupted and Knock Knock, It’s Tig Notaro. What did you think of these gay comedians? Did we miss any of your favorite gay comedians? Let us know.